29 July 2016. Due to the Microsoft licensing terms, below is the guidance on upgrading systems to Windows 10. Enterprise license that these systems were imaged with. Windows Enterprise is not included in the upgrade program. Thank god for that. even though AMC is using Ipads for the digital flight bag and somehow Apple manage to be able to support the security encryption to be used as a govt phone now. I have to use an iPad Air at work. I really, really miss my Toughbook. AT&T was just beginning the transition when I left in 2011. Took some getting used to, using Citrix for Windows based programs and such. Just a reminder, if you're gonna do it, corporate, personal, or CAP, now's the time - Friday (29 July 2016) is the deadline. last one in my personal stash a couple days ago (forgot my son still had a netbook). issue where for some reason the NIC driver fails so Windows can't go and download the updated drivers. is just that, FUD, assuming you know what to disable. other CAP PCs, is locked into 7 because it's "enterprise", with no word from NHQ on the fix. Netbook I updated w/ an SSD, but my need for PS on the road is limited). Beyond that, the machines are generally more stable and have better performance, and that privacy FUD is just that, FUD, assuming you know what to disable. You shouldn't have to know special instructions to prevent a vendor from copying your information. What is this vendor "copying"? Well every keystroke for one. Your contacts, calendar items, and "other associated input data" which they don't need from me. They're about as bad as Google these days. Information from both sides of the tech aisle. Take it as you will. Thank you - the second sentence of the headline from the third article sums it up. "...anyone who has even a basic understanding of how networks work should cringe at this shoddy report." Ever read the TOS on Apple devices or looked into the recently "evolved" iAD? complain they don't know what time it is. have to for a corporate application, use an ad blocker, and pay attention to what you click. who use their machines primarily to access Twitbook. average person won't use, "stability fixes", more robust Defender, and just enough UI tweak to be jarring if unexpected. re-read the options (the same ones they didn't read the first time). It runs every user though a new "Hi" cycle on first login, and all the crapware apps are reinstalled (Get Office, Skype Preview, Sway, etc.). Still no guidance from NHQ, though in light of the above, much less impetus to worry about it. Any discussion on this at the Conference? Last night I upgraded our squadron laptops to SSDs (Samsung Evo 750 drives. They are about 10% slower than my 850 drives, but still far faster than the OEM HDDs.) I previously maxed the RAM on them. Instead of using the samsung migration tool I simply pulled the hard drives, installed windows 10 from PXE, and punched in the windows 7 pro key under the battery. Activation was successful on both systems. This confirms several reports that I've seen online for a while: That even though MS is no longer pushing the windows 10 free upgrade, users can still take advantage of it if they wish to from a clean install. Oh yeah, and the secondary benefit of this upgrade is that if I'm ever told that windows 10 has a "stability issue" with any CAP tools (we have CAP tools on computers?!) I can just slam the old drives in the system and be back on windows 7 in 30 minutes... well, 60 minutes if I have to run windows update. Not sure why this was locked but you have a green light. Hard to believe it's been a year since the last message here, with nary a further comment from NHQ. as recently announced, on 31 DEC 2017. I took the time today to see how much of a chore it will be to upgrade these machines. I do this stuff for my day job, so it really wasn't a big deal, kind of a PITA, but generally straightforward. Worth it to be getting the better performance and features of Win 10, just a few more hoops then a normal scratch or update. The biggest impediment is that most of these machines are (inexplicably) Win 7 Enterprise. 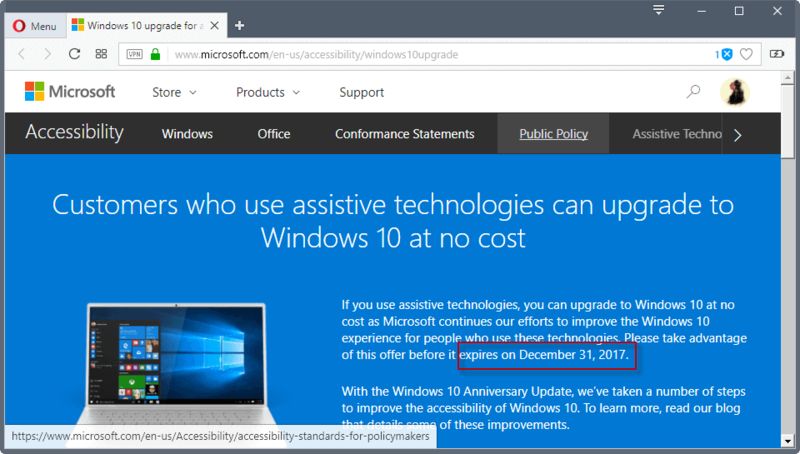 then use the Assistive Technologies site to upgrade to Windows 10.
and click the "upgrade now" - takes about an hour depending on your machine and internet connection. which are specific to Win 10) will remain in place, but of course caveat emptor about backups. As of writing this, the latest build of Win 10 is 1709, which includes the Fall 2017 "Creator's Update". for things like MS Office, etc. ready before you start. and you should reconsider some of the life choices you have made which have brought you to this point. in a straighforward manner. If this is important, check first. The OEM Windows key found under the battery. If you don't have one, stop here, you're done. (at your unit's expense). Win 10 really likes 8GB. and use Crucial scan to see your options. I've ever found a CAP notebook that didn't need a bios upgrade the first time I touched it. (Don't use the key in the comments, use a legit one). Win 7 Pro. I would strongly suggest deleting all partitions and letting it do a full, fresh load. This will probably take about 30 minutes or so. Once the installation is done, and the machine is booting to the Win 7 Pro desktop, you'll have to activate it. system. It's a hassle, but not difficult. If you can, use the cell-phone app method it's easier. They will text you a link and you can enter the numbers there, then read them off to enter into your PC. Once activated, you don't need to patch or update Windows 7 - just move to the Win 10 upgrade. create user IDs for other members to use, install apps, trim down the bloatware, etc. have it activate itself automatically, as the hardware is now registered with MS.